Apple, Inc and any of its subsidiaries or parent companies are not involved in any way with any of the contests hosted on the PotSmoking.com app. PLEASE REVIEW THE TOU CAREFULLY. BY REGISTERING FOR AN ACCOUNT OR ACCESSING OR OTHERWISE USING THE SERVICE OR ANY OF ITS COMPONENTS, YOU AGREE TO BE BOUND BY THE TERMS OF THE TOU, INCLUDING ANY UPDATES OR REVISIONS POSTED HERE OR OTHERWISE COMMUNICATED TO YOU. IF YOU DO NOT AGREE TO BE BOUND BY THE TERMS OF THE TOU, DO NOT ACCESS OR USE THE SERVICE. THE TOU REQUIRES BINDING ARBITRATION TO RESOLVE ANY DISPUTE OR CLAIM ARISING OUT OF OR RELATING IN ANY WAY TO THE TOU OR YOUR ACCESS TO OR USE OF THE SERVICE, AND YOU AGREE THAT ANY SUCH DISPUTE OR CLAIM WILL BE RESOLVED ONLY ON AN INDIVIDUAL BASIS AND NOT IN A CLASS, CONSOLIDATED OR REPRESENTATIVE ACTION OR ARBITRATION. PLEASE REVIEW SECTION C.15 CAREFULLY TO UNDERSTAND YOUR RIGHTS AND OBLIGATIONS WITH RESPECT TO THE RESOLUTION OF ANY DISPUTE OR CLAIM ARISING OUT OF OR RELATING IN ANY WAY TO THE TOU OR YOUR ACCESS TO OR USE OF THE SERVICE. If you are under 18 years of age or the age of majority in your jurisdiction, whichever is greater, you may not use the Service. You represent and warrant that you are: (i) at least 18 years of age or the age of majority in your jurisdiction, whichever is greater; and (ii) of legal age to form a binding contract. You further represent and warrant that you are not a person barred from accessing or using the Service under the laws of your country of residence or any other applicable jurisdiction. Some parts of the Service may have different age requirements, which will be noted in those parts of the Service, and you represent and warrant that you meet the age requirements of those parts of the Service at the time you access those parts of the Service. PotSmoking.com LLC further makes available mobile applications for access to certain content from PotSmoking.com LLC (“Apps”). Your access to and use of Apps is subject to the applicable end user license agreement for each App. Your access to and use of the Service must further comply in all material respects with any rules and guidelines posted by PotSmoking.com LLC for each respective contest. PotSmoking.com LLC may, at its discretion, update these additional rules and guidelines at any time, with or without prior notice. By accessing or using the Service after any such updates have been posted or otherwise communicated to you, you agree to be bound by such updates. The contests presented through the Service (each, a “Contest”) are contests whereby the most qualified contest entrant will be chosen as the winner and receive the prize amount indicated in the rules of that particular contest. The winners of Contests are determined by criteria that are delineated within the rules and guidelines for each Contest. Winners are determined by the staff of PotSmoking.com LLC. PotSmoking.com LLC offers prizes for winning Contests and promotions relating to Contests. Each Contest or promotion is governed by a particular set of rules and guidelines. It is your responsibility to read and understand all applicable rules and guidelines for each Contest prior to participation. PotSmoking.com LLC’s server clock shall be the official timekeeping device for all Contests and all matters related to timekeeping within the Service. You acknowledge and agree that the Contests are based on content submitted, do not require any form of consideration by you, do not constitute gambling and shall not be construed in any manner to be any form of gambling. You may in no way utilize the Service for any form of gambling. In order to use the Service, you must be at least 18 years of age or the age of majority in your jurisdiction, whichever is greater. the IRS has notified you that you are no longer subject to backup withholding. Employees and contractors of PotSmoking.com LLC or its affiliates may use the Service for administrative and testing purposes, community-building and other purposes that do not compromise the integrity, fairness or outcome of Contests. Employees and contractors of PotSmoking.com LLC or its affiliates may not enter public Contests that offer cash prizes. You may establish only one user account for participating in all activities within the Service, and only you may use that user account. Any attempt to establish or use more than one user account or otherwise compromise the integrity, fairness or outcome of any Contest or the Service is prohibited. you are the lawful owner of the account. PotSmoking.com LLC, at its sole discretion, reserves the right to withhold any Contest prize and suspend, revoke or terminate any user account based upon its reasonable belief that the applicable user fails to meet any of the eligibility criteria set forth in the TOU or has otherwise violated the TOU. PotSmoking.com LLC further reserves the right to require proof of eligibility and/or identity. By entering a Contest, you agree to be bound by these Rules and the decisions of PotSmoking.com LLC, which shall be final and binding. You must follow the instructions issued by PotSmoking.com LLC to complete your entry and participate in a Contest. In the event of a dispute regarding the identity of the user who submitted an entry, such entry shall be deemed submitted by the individual named in the user account used to submit the entry; provided, however, that if this fails to resolve the dispute, the entry shall be deemed submitted by the person whose name is registered with the email service provider for the email address associated with the user account used to submit the entry. PotSmoking.com LLC reserves the right at its sole discretion not to award a prize to any individual it believes did not submit a winning entry. PotSmoking.com LLC shall have sole authority to determine the winners of all Contests, and the decision of PotSmoking.com LLC on all matters relating to Contests, including, but not limited to, its determination of winners, shall be final and binding. Winners will be determined and prizes will be awarded based upon factors calculated by PotSmoking.com LLC. After winners are determined and prizes are awarded, the final scoring determined by Pot Smoking LLC will stand. PotSmoking.com LLC, at its sole discretion, reserves the right to determine winners of Contests before awarding any prizes and to resettle Contests in the event of a violation or suspected violation of the TOU or the Game Info and Rules or as Pot Smoking LLC deems necessary in its sole discretion to protect the integrity of a Contest. The amounts for prizes for each Contest will be as posted within the Service for such Contest. In the event that there is a challenge by any governmental authority as to whether a prize should be awarded, Pot Smoking LLC, at its sole discretion, may determine whether such challenged prize should be awarded. In the event that Pot Smoking LLC determines that the integrity, fairness or outcome of any Contest has been compromised, Pot Smoking LLC may, at its sole discretion, cancel, extend, terminate or modify the Contest as it deems appropriate to remedy the integrity, fairness or outcome of the Contest. The winner will generally be posted after the Contest is marked final, which in some cases may not occur until twenty-four (24) hours after the close of the Contest. Winners will be notified via email or other communication method where necessary. If the notification to a winner is undeliverable or the address provided is otherwise invalid, the winner may be disqualified. All tax liability relating to a winner’s receipt of a prize is the sole responsibility of the winner. You will promptly provide to PotSmoking.com LLC upon request any documentation or information that may be required for tax compliance purposes. Each user who is a resident of the United States and has won six hundred dollars ($600.00) or more from any contests or games operated by PotSmoking.com LLC, must provide PotSmoking.com LLC with his or her residential address and tax identification number (e.g., Social Security number), along with any other documentation or information that may be required for PotSmoking.com LLC to file a 1099-MISC form with the IRS (“Tax Information”). You agree to provide such information promptly upon request by PotSmoking.com LLC. You will be prompted within the App to provide your email address or connect your Facebook account to the Service in order to log in. An account will be created for you once you have provided your email address or connect your Facebook account and provide the necessary permissions. If you wish to stop using the Service, you can do so by deleting the App from your device, by unlinking your Facebook account from the Service, or by contacting PotSmoking.com LLC at help@potsmoking.com. All dollar amounts listed within the Service, including, but not limited to, award amounts, are denominated in U.S. dollars unless otherwise specified. hereby irrevocably grants PotSmoking.com LLC, its affiliates and their respective service providers the right and permission to use his or her contest entry in connection with the development, production, distribution, advertising and marketing of the Service. Each contestant and winner grants such right and permission without further notice or approval, compensation from or liability to PotSmoking.com LLC and its service providers, except as prohibited by law. PotSmoking.com LLC reserves the right to make public and promotional statements relating to Contest winners via the Service, radio, television, Internet or other means of communications now known or later developed. print a reasonable number of such pages for your personal, non-commercial use only. To the extent that a Site provides online access to any software, application or other similar online components, then, subject to your compliance with the TOU in all material respects, PotSmoking.com LLC grants you a limited, non-exclusive, non-transferable, non-sublicensable, revocable license to access and use such components only in executable, machine-readable, object code form within the online platform provided by PotSmoking.com LLC for accessing such components and only for your personal, non-commercial purposes. maintain and promptly update the Registration Data to keep it true, accurate, current and complete. If you provide any information that is untrue, inaccurate, not current or incomplete, or PotSmoking.com LLC reasonably suspects that you have done so, PotSmoking.com LLC may suspend or terminate your account. You are fully responsible for all activities that occur under your account. You may not share your account with anyone. You agree to notify PotSmoking.com LLC immediately of any unauthorized use of your account or password or any other similar breach of security. not a person barred from accessing or using the Service under the laws of your country, state or province of residence or any other applicable jurisdiction. You further represent and warrant that you are the person assigned and authorized by the Service Provider to use the email address and account in the Registration Data (“Authorized Account Holder”). As used herein, “Service Provider” means the Internet service provider, email service provider or other organization responsible for assigning email accounts for a domain name associated with an email address. You acknowledge and agree that all information, data, text, software, music, sounds, photographs, graphics, videos, messages, scripts, tags and/or other materials accessible through the Service, whether publicly posted or privately transmitted ("Content"), are the sole responsibility of the person from whom such Content originated. This means that you, and not PotSmoking.com LLC, are entirely responsible for all Content that you upload, post, email, transmit or otherwise make available through the Service (“Your Content”), and other users of the Service, and not PotSmoking.com LLC, are similarly responsible for all Content they upload, post, email, transmit or otherwise make available through the Service (“User Content”). You acknowledge and agree that PotSmoking.com LLC has no obligation to pre-screen Content (including, but not limited to, Your Content and User Content), although PotSmoking.com LLC reserves the right in its sole discretion to pre-screen, refuse or remove any Content. Without limiting the generality of the foregoing, Pot Smoking LLC shall have the right to remove any Content that violates the TOU or that it deems objectionable. Your Content does not violate any copyright, trademark, right of privacy, right of publicity or any other right of any third party. access the Service for purposes of developing, marketing, selling or distributing any product or service that competes with or includes features substantially similar to the Service or any products or services offered by PotSmoking.com LLC. PotSmoking.com LLC reserves all rights not expressly granted to you. If you elect to provide or make available to PotSmoking.com LLC any suggestions, comments, ideas, improvements or other feedback relating to the Service (“Suggestions”), PotSmoking.com LLC shall be free to use, disclose, reproduce, have made, modify, license, transfer and otherwise utilize and distribute your Suggestion in any manner, without restrictions and without credit or compensation to you. Your dealings with advertisers and other third parties who market, sell, buy or offer to sell or buy any goods or services on the Service, including payment for or delivery of such goods or services and any other terms, conditions, warranties or representations associated with such dealings, are solely between you and the advertiser or other third party. You agree that PotSmoking.com LLC shall not be liable for any loss or damage of any kind incurred as a result of any such dealings. PotSmoking.com LLC reserves the right at any time to modify or discontinue, temporarily or permanently, the Service (or any portion thereof) with or without notice. You agree that PotSmoking.com LLC shall not be liable to you or any third party for any modification, suspension or discontinuance of the Service (or any portion thereof). In the event that you violate the TOU, all rights granted to you under the TOU shall be terminated immediately, with or without notice, and PotSmoking.com LLC, in its sole discretion, may remove and discard Your Content. The provisions of the TOU that should by their nature survive termination of the TOU shall survive such termination. You agree to indemnify and hold PotSmoking.com LLC and its parents, subsidiaries, affiliates, and their respective officers, directors, employees, agents, mandataries, partners and licensors (collectively, the “PotSmoking.com LLC Parties”) harmless from and against any claim, demand, loss, damage, cost, liability and expense, including reasonable attorneys' fees, resulting from or arising out of your: (a) access to or use of the Service; (b) violation of the TOU or any law or regulation; or (c) violation of any rights of another party. YOUR USE OF THE SERVICE IS AT YOUR SOLE RISK. THE SERVICE IS PROVIDED ON AN "AS IS" AND "AS AVAILABLE" BASIS, WITH ALL FAULTS. TO THE MAXIMUM EXTENT PERMITTED BY APPLICABLE LAW, POTSMOKING.COM LLC PARTIES EXPRESSLY DISCLAIM ALL WARRANTIES AND CONDITIONS OF ANY KIND, WHETHER EXPRESS OR IMPLIED OR ARISING FROM STATUTE, COURSE OF DEALING, USAGE OF TRADE OR OTHERWISE, INCLUDING, BUT, NOT LIMITED TO, THE IMPLIED WARRANTIES OR CONDITIONS OF MERCHANTABILITY, MERCHANTABLE QUALITY, QUALITY OR FITNESS FOR A PARTICULAR PURPOSE AND NON-INFRINGEMENT. POTSMOKING.COM LLC PARTIES MAKE NO WARRANTY AND PROVIDE NO CONDITIONS THAT: (i) THE SERVICE WILL MEET YOUR REQUIREMENTS; (ii) ACCESS TO THE SERVICE WILL BE UNINTERRUPTED, TIMELY, SECURE OR ERROR-FREE; OR (iii) THE RESULTS THAT MAY BE OBTAINED FROM USE OF THE SERVICE WILL BE ACCURATE OR RELIABLE. YOU ACKNOWLEDGE AND AGREE THAT POTSMOKING.COM LLC PARTIES SHALL NOT BE LIABLE FOR ANY INDIRECT, INCIDENTAL, SPECIAL, EXEMPLARY, PUNITIVE OR CONSEQUENTIAL DAMAGES, INCLUDING, BUT NOT LIMITED TO, DAMAGES ARISING FROM ANY TYPE OR MANNER OF COMMERCIAL, BUSINESS OR FINANCIAL LOSS, EVEN IF POTSMOKING.COM LLC PARTIES HAD ACTUAL OR CONSTRUCTIVE KNOWLEDGE OF THE POSSIBILITY OF SUCH DAMAGES AND REGARDLESS OF WHETHER SUCH DAMAGES WERE FORESEEABLE. IN NO EVENT SHALL POTSMOKING.COM LLC’S TOTAL LIABILITY TO YOU FOR ALL CLAIMS ARISING FROM OR RELATING TO THE TOU OR YOUR ACCESS TO OR USE OF THE SERVICE EXCEED $50. ANY DISPUTE OR CLAIM ARISING OUT OF OR RELATING IN ANY WAY TO THE TOU OR YOUR ACCESS TO OR USE OF THE SERVICE, INCLUDING, BUT NOT LIMITED TO, THE VALIDITY, APPLICABILITY OR INTERPRETATION OF THE TOU, SHALL BE RESOLVED BY BINDING ARBITRATION RATHER THAN IN COURT, EXCEPT THAT YOU MAY ASSERT CLAIMS IN SMALL CLAIMS COURT IF YOUR CLAIMS QUALIFY. THERE IS NO JUDGE OR JURY IN ARBITRATION, AND COURT REVIEW OF AN ARBITRATION AWARD IS LIMITED. Notwithstanding anything to the contrary, you and PotSmoking.com LLC may seek injunctive relief and any other equitable remedies from any court of competent jurisdiction to protect our intellectual property rights, whether in aid of, pending or independently of the resolution of any dispute pursuant to the arbitration procedures set forth above. You agree that, except as otherwise expressly provided in the TOU or any end user license agreement for an App, there shall be no third-party beneficiaries to the TOU. 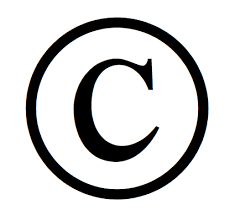 If you believe that your work has been made available through the Service in a way that constitutes copyright infringement, please provide PotSmoking.com LLC’s Agent for Notice of Copyright Claims the following information: (a) a physical or electronic signature of a person authorized to act on behalf of the owner of an exclusive right that is allegedly infringed; (b) a description of the copyrighted work claimed to have been infringed, or, if multiple copyrighted works are covered by a single notification, a representative list of such works; (c) a description of the material that you claim is infringing and where that material may be accessed within the Service; (d) your address, telephone number and email address; (e) a statement by you that you have a good-faith belief that use of the material in the manner complained of is not authorized by the copyright owner, its agent or the law; and (f) a statement from you that the information in the notification is accurate and, under penalty of perjury, that you are authorized to act on behalf of the owner of an exclusive right that is allegedly infringed. The TOU constitutes the entire agreement between you and PotSmoking.com LLC concerning your access to and use of the Service. It supersedes all prior or contemporaneous oral or written negotiations and agreements between you and PotSmoking.com LLC with respect to such subject matter. The failure of PotSmoking.com LLC to exercise or enforce any right or provision of the TOU shall not constitute a waiver of such right or provision. If any provision of the TOU is held to be invalid or unenforceable under applicable law, then such provision shall be construed, limited, modified or, if necessary, severed to the extent necessary to eliminate its invalidity or unenforceability, without in any way affecting the remaining parts of the TOU. Any prevention of or delay in PotSmoking.com LLC’s performance hereunder due to labor disputes, acts of god, governmental restrictions, enemy or hostile governmental action, fire or other casualty or other causes beyond its reasonable control shall excuse the performance of its obligations hereunder for a period equal to the duration of any such prevention or delay. Except to the extent PotSmoking.com LLC is expressly precluded by applicable law, PotSmoking.com LLC further reserves the right to, within its sole discretion, make changes to these TOU and the Game Info and Rules on a prospective basis, including to reflect changes in or required by law or changes in business practices by posting a notice of such. If you continue to use of the App or access the Services after the notice of the changes has be posted, then you shall be deemed to have accepted those changes. It is the express wish of the parties that the TOU and all related documents be drawn up in English. 2019 PotSmoking.com LLC. All Rights Reserved.